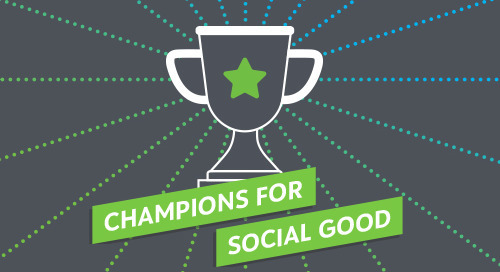 In this episode of the Champions for Social Good Podcast, we talk with Alice Korngold (@alicekorngold), President and CEO of Korngold Consulting, about trends in collaboration across the social good sector. Alice, the author of two highly acclaimed books on board governance, service, and global problem solving, focuses her work helping companies leverage their human capital to make a difference through matching executives with nonprofit boards. Alice discusses the do’s and don’ts of nonprofit board membership, and details what nonprofit organizations and board candidates must understand about each other for a perfect match. She also explains the trajectory of collaboration between corporations and nonprofits in the last 30 years: as investors continue to drive CSR, corporations that understand how to innovate solutions to the growing global challenges are the ones that win shareholder value. To do this, companies have found that they must collaborate with nonprofit partners to bring expertise and credibility to their projects. Alice highlights that the United Nations Sustainable Development Goals (SDGs) have not only outlined specific issues that corporations can focus on, but have also allowed corporations and nonprofits an easier opportunity to find each other and partner. She gives multiple case study examples of corporate and nonprofit partnerships, detailing that these “pathfinders” have paved the way to a new norm for other companies to follow.